With so many liberals today exhibiting irrational fears of inanimate objects, it's not surprising that even cartoon drawings of guns would invoke trepidation in these tender snowflakes. 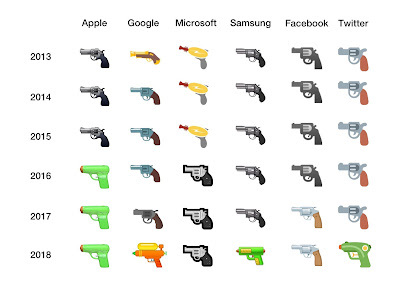 Emojipedia has a revealing synopsis of the gun emoji on various platforms. The switch to a more realistic depiction by Microsoft in 2016 caught my eye. A cynic might suspect it had something to do with trying to differentiate from Apple's shift in the opposite direction at the same time. However, Microsoft will be following the trend in the future. Even cartoon drawings can trigger the hoplophobia it seems. For a group of people so immersed in a fantasy world, one would think those ray guns would illicit even more anxiety. 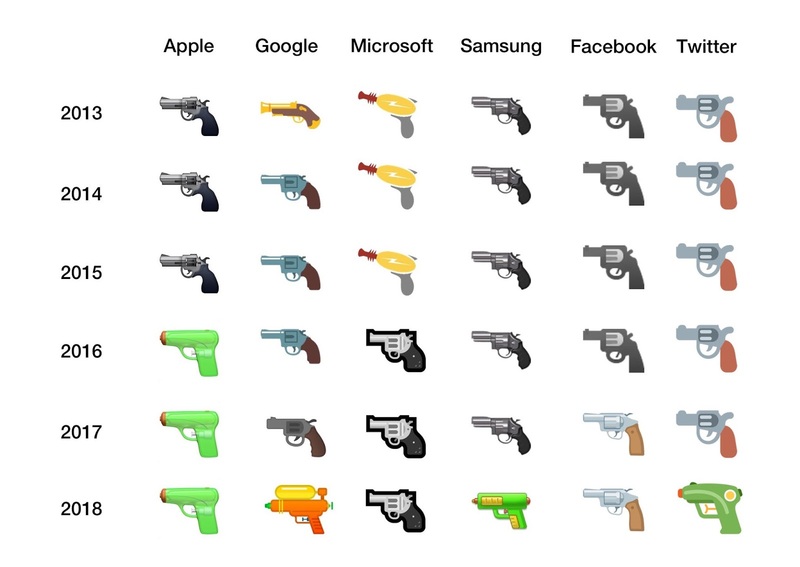 See Google Updates Gun Emoji for more.